Trees are selected based on their unique live edge character, knots, rings & most importantly durability. Get that personal heirloom piece for your home, office or cottage, never to be duplicated. Just minutes from Kanata & Stittsville - off Carp Road, 112 John Cavanaugh Drive. Stump side tables are handcrafted by stripping the bark, sanding to a smooth satin finish then hand rubbed with four coats of Serenity Stumps 100% natural bees wax & natural oil sealant. Choices vary in shape from cylindrical to scalloped edges, minimal knots and grain patterns to knotted and dark side grain patterns. They all have beautiful rings on the tops. They add warmth to contemporary spaces and convey that natural calming sense of a spa retreat. Cutting boards are handcrafted from live-edge wood. Each board has their own unique character with rugged edges, grain patterns, rich colour, size and shape. They are made from top quality closed grain hard woods (cherry, maple, walnut,). All boards are hand rubbed with our chemical-free, 100% natural bees wax and natural oil sealant which will last a lifetime and make your tablescape the center of conversation. Bringing Natures Beauty Back Into Our Homes ! We create furniture that benefits the world we live in and helps foster a more natural, chemical free way of living in our homes. 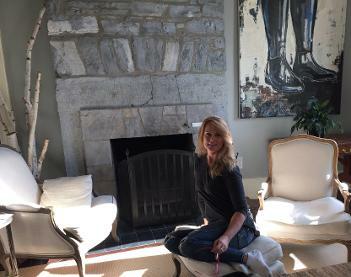 Canadian interior designer and commercial property manager lives and works in Ottawa, Ontario. Chantal has designed, staged and renovated many residential homes and commercial properties in the Ottawa area. Chantal’s eco-chic style, mixes natural organic materials, with raw metal, stone, wood and soft natural fabrics. In 2007 Chantal combined her love for design and working with natural wood products by opening a small studio in the west end of Ottawa (Carp, ON. Canada) where she makes and sells live edge wood cutting boards, charcuterie boards and cake stands for many catering companies and wedding planners. She also creates unique, one of a kind live edge benches, mirrors, and unique rustic décor for the home, office, country inn & retreats & commercial properties. Chantal’s design style mixes eco-chic products with new and old furnishing. The style is functional & mixed with unique character, -the result is a relaxed, calm contemporary design that make an impact as well as last the test of time. Each project is looked at with fresh eyes as all clients have different living style and needs. Innovative materials and solutions are always sought out to help create unique interiors that work. Chantal likes to work closely with her clients to ensure a pleased and successful end result. We focus is on using detailed organic and green building materials combined with contemporary metal finishes to create spaces that are perfect for entertaining and lounging together with family. We strive to incorporate urban design mixed with comfort, function and zen living. Organic contemporary is our signature which appeals to an open-plan living spaces or urban cottage spaces. Our strategic partners "Leave this world a little better than you found it"
Those were words spoken by Robert Baden-Powell. At Lalande Managed Forest, we subscribe strongly to that principle and that is why we have both memberships and partnerships with organisations that we feel will help us fulfill that mandate. Lalande Managed Forest became a Model Forest in the 2000's. 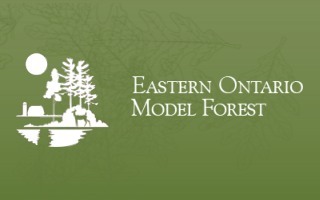 As one of 15 model forests in the Canadian Model Forest Network, the Eastern Ontario Model Forest works with government, landowners, industry, First Nations, non-government organizations and others to develop new ways to sustain and manage our forest resources. The EOMF champions the belief that we all have a stake in ensuring that the environmental, economic, cultural and social values of eastern Ontario's forests are maintained for the benefit of all, now and in the future. The EOMF a not-for-profit, charitable organization, is proud to be a participant in the Forest Communities Program. Lalande Managed Forest became a partner with the Ontario Ministry of Natural Resources in March 2014 to help promote Ontario forest products. designer or architect, look for the leaf to be sure it’s Ontario Wood. Lalande Managed Forest entered an agreement with Ducks Unlimited Canada (DUC) in the 1990's to help increase wetland and waterfowl habitat. Three controlled weirs exist on the property, ensuring health wildlife habitat. Since 1938, DUC has been working with farmers, ranchers, partners and government to ensure that landowners are rewarded for the environmental benefits of their operations. Whether you want to leave a natural legacy, restore wetlands, plant winter wheat or simply find natural solutions to improve your bottom line, DUC has programs and experts that can help. We joined QDMA (QDMA) in 2012 to help learn more about deer habitat, nutrituion and behavior. The QDMA's mission is to ensure the future of white-tailed deer, wildlife habitat and our hunting heritage. Membership in the QDMA is open to anyone with an interest in the wise management of white-tailed deer. The time has come for all deer hunting enthusiasts, regardless of their choice of weapon or hunting technique, to unite and focus on the common thread that binds them all together - the love of deer hunting and the desire that future generation will be able to experience the great tradition of deer hunting. Rainforest Alliance Certified What Does “Rainforest Alliance Certified™” Mean? You can find Rainforest Alliance Certified seal on a rapidly growing list of products and services, including coffee, chocolate, tea, fruit, flowers, paper, furniture and tourism lodges. Products bearing the seal originate on--or contain ingredients sourced from--Rainforest Alliance Certified farms or forests. These farms and forests are managed according to rigorous environmental, social and economic criteria designed to conserve wildlife; safeguard soils and waterways; protect workers, their families and local communities; and increase livelihoods in order to achieve true, long-term sustainability. Tourism businesses that feature the Rainforest Alliance Certified seal meet the Rainforest Alliance comprehensive sustainability standards for tourism.